One of the things we pride ourselves on here at Hunt to Read is listening to our ever-growing group of authors. 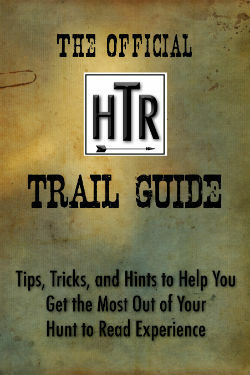 Rick and I and the rest of the HTR team always put your satisfaction with the site first and foremost. We've rethought entire projects and programs to make them easier for authors to get their books in the hands of willing readers. Ultimately, we want to make Hunt to Read the go-to destination for all kinds of authors, publishers, and readers alike. We realize that this is going to take a lot of effort on our part; we're excited to be finishing up Release 3, which should pack in a lot of your requested improvements. At the same time, we don't want to lose touch with folks who have been there with us from the start. As we solve potential issues and problems faced by our members, new ones are sure to pop up. So since we've been swamped with this latest update (I'm pretty darned sure that everyone out there--authors, publishers, readers--is going to like it), we thought we'd open the floor for things you all would like to see in future releases. You're always welcome to contact us at either contact@hunttoread.com or improvements@hunttoread.com any time, day or night; we try to get back to you as quickly as possible, and I know I speak for Rick and everyone else when I say that we sincerely appreciate the feedback. As some of our heavier users can attest, we do our best to address comments and suggestions as quickly as possible. Keep in mind, we're working furiously on bringing a whole slew of improvements to you, including the long-rumored free book program, open to all site members, as well as a novel new way to find books, and even a way to help folks earn a little bit of cash on the side. These programs are in the capable hands of Rick and the tech team, and I fully trust them to come up with something that will even blow me away. But we're thinking long-term here, from the broadest of big pictures down to the smallest detail. What do you want to see us working on? An open-source e-reader that could read both .MOBI (Kindle) and .EPUB (everyone else) files? Exclusive cover art and blurb critiques by heavy users and/or professionals? The ability to better network with your fellow HTR Readers, Authors, and Publishers? Would a forum be worthwhile? Once release 3 is out of the barn, we should be able to throw some of our attention at these types of programs, but to know which ones are most important to you, the site user, we need your help. So feel free to let us know in the comments or, if you're shy, email us at contact@hunttoread.com with what you'd like to see us prioritize going forward; that way, we can adjust accordingly. Thanks everyone--look forward to hearing from you, and Happy Hunting!